It’s Monday, April 15, 2019. Let’s start here. 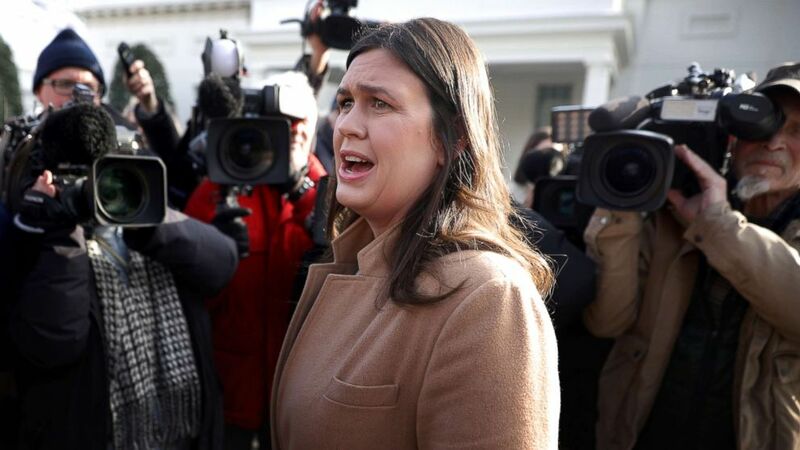 (Chip Somodevilla/Getty Images) White House Press Secretary Sarah Huckabee Sanders talks to reporters outside the West Wing of the White House, Jan. 18, 2019. 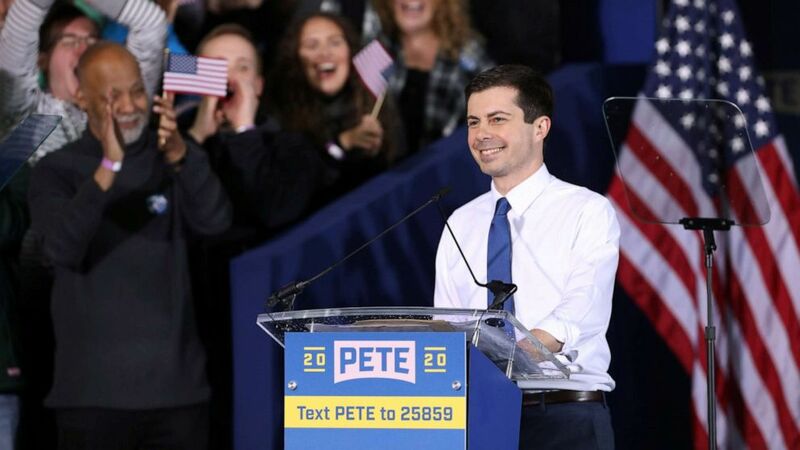 Pete Buttigieg, the mayor of South Bend, Indiana, after outraising Democratic rivals and surging in polls and saying on “Good Morning America” that “we do need to call out hypocrisy when we see it” referring to the president and vice president, finally, officially announced a final, official decision: He’s running. Buttigieg laid out his vision in front of thousands of supporters who flocked to a former Studebaker factory despite incitement weather. How far can that momentum carry Buttigieg? (John Gress/Reuters) South Bend’s Mayor Pete Buttigieg speaks during a rally to announce his 2020 Democratic presidential candidacy in South Bend, Ind., April 14, 2019. Tiger Woods captured his fifth Masters title and 15th career major on Sunday, edging out three competitors by a single stroke. “Start Here,” ABC News’ flagship podcast, offers a straightforward look at the day’s top stories in 20 minutes. Listen for free every weekday on Apple Podcasts, Google Podcasts, iHeartRadio, Spotify, Stitcher, TuneIn or the ABC News app. Follow @StartHereABC on Twitter, Facebook and Instagram for exclusive content and show updates. ‘By signing this bill today, we are providing terminally ill patients and their families with the humanity, dignity and respect that they so richly deserve at the most difficult times any of us will face': New Jersey becomes the seventh state, in addition to Washington, D.C., to allow death with dignity. ‘I can tell you explicitly, you have not been given power or authority by Congress to have war with Iran': Does labeling a branch of Iran’s military a terrorist organization lay the groundwork for future military strikes against Iranian forces? ‘When he fell, he was attacked': The “world’s most dangerous bird” kills a Florida man. What’s behind MLB’s bizarre spike in contract extensions? : By taking players out of the arbitration system, the teams not only cap earning potential for those players, they also reduce salary comps for other players. The moment every “Star Wars” fan was waiting for happened Friday in Chicago: The celebration panel for “Episode IX” that featured interviews from the cast, secrets from the film and much, much more. The first teaser trailer hinted at the possible return of perhaps the single greatest “Star Wars” villain of all time: the emperor. 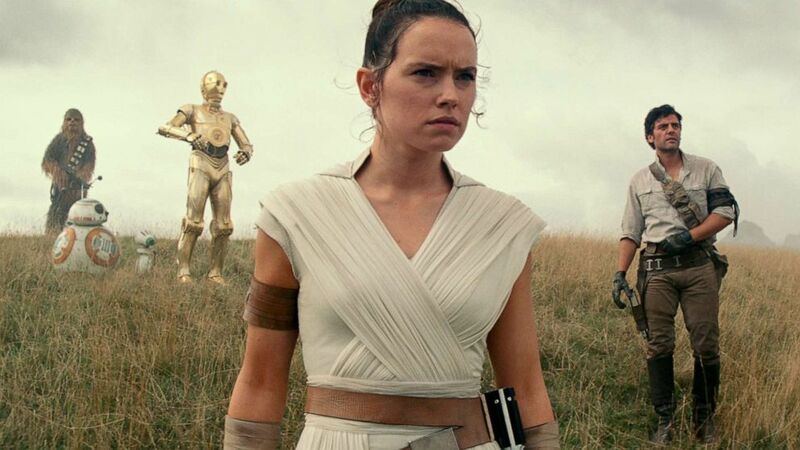 At the panel, Lucasfilm president Kathleen Kennedy and director J.J. Abrams spoke about this being the final movie in the Skywalker saga, finishing the Luke and Leia storyline Mark Hamill and Carrie Fisher launched almost four decades ago. Lucasfilm and ABC News are owned by The Walt Disney Co.